A recent, phase 1/2 study showed that donated umbilical cord blood cells, can be more effective if first expanded on a bed of cells that mimics the bone marrow enviroment, prior to transplantation. 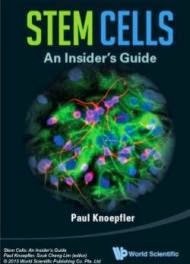 The study, released by researchers of The University of Texas, focuses on the transplantation of umbilical cord blood stem cells instead of hematopoietic stem cells (bone marrow transplant) to patients who have had their bone marrow destroyed by chemotherapy or radiation to treat some form of cancer or blood-related condition. Elizabeth Shpall , one of the key-researchers, said that umbilical cord blood cell transplantation is currently inferior to standard bone marrow transplants. Shpall explained that their study showed that if the cells are first grown in a lab, on a bed with mesenchymal precursor cells, the final outcome of the transplantation is improved. The total number of transplanted cells is bigger, recovery is faster and the proportion of patients who accept the new blood cells increases. According to Shpall, if their method is proven to be safe, it had the potential to replace standard bone marrow transplantation techniques. All that is needed is a confirmed randomized clinical trial on humans. A randomized phase 3 trial ,led by Shpall, in 15 centres is too be expected soon. The study will have 240 participants, 120 for control and 120 who will receive umbilical cells as described before. Elizabeth Shpall is a professor in MD Anderson’s Department of Stem Cell Transplantation and Cellular Therapy.